Forty years ago today, many of Britain’s most cherished counties disappeared under local government reorganisation. 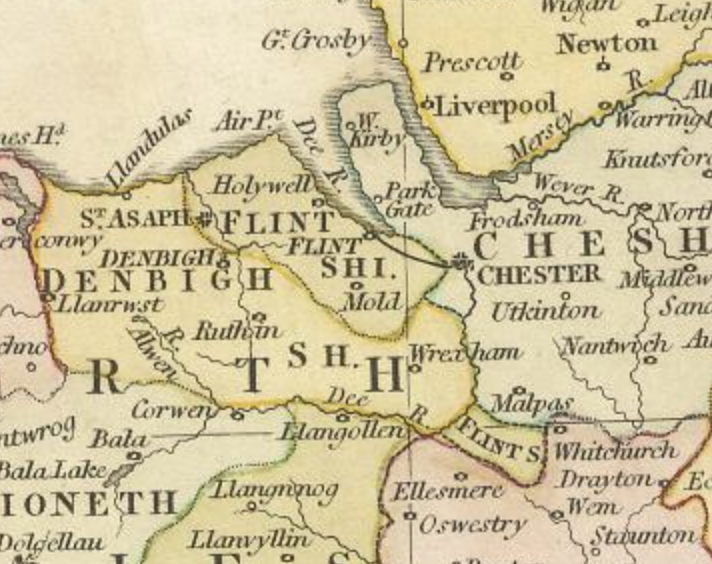 The changes also ended a curious historic anomaly: ‘Flintshire detached’: the area of Flintshire, Maelor Saesneg, which was detached from the rest of the county of Flint and surrounded by the Welsh county of Denbigh and the English counties of Shropshire and Chester. Maelor Saesneg (‘English Maelor’) was one of the very last ‘exclaves‘: detached county territory. Most of these exclaves were tidied up in the 19th century. For example, much of Minety, Wiltshire, was part of neighbouring Gloucestershire until 1844, the year parliament started the tidying process. Back to 1974. An even greater historical anomaly was Monmouthshire. Until 40 years ago, that border county was regarded by many as technically part of England rather than Wales, having been annexed as an English county following the forced acts of union in the 16th century. The 1974 local government reorganisation in Wales put an end to such nonsense. Never again would acts of parliament refer to South Wales and Monmouthshire.